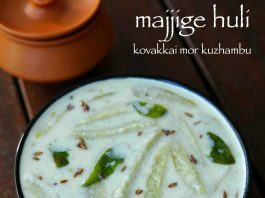 majjige huli recipe | kovakkai mor kuzhambu | tindora yoghurt curry with detailed photo and video recipe. simple and healthy south indian yoghurt or curd based curry prepared mainly with coconut and tindora. it is generally prepared as curry for steamed rice and is served for lunch and dinner after rasam rice combination. the yoghurt curry is simple to prepare without many spices and can be prepared within minutes. 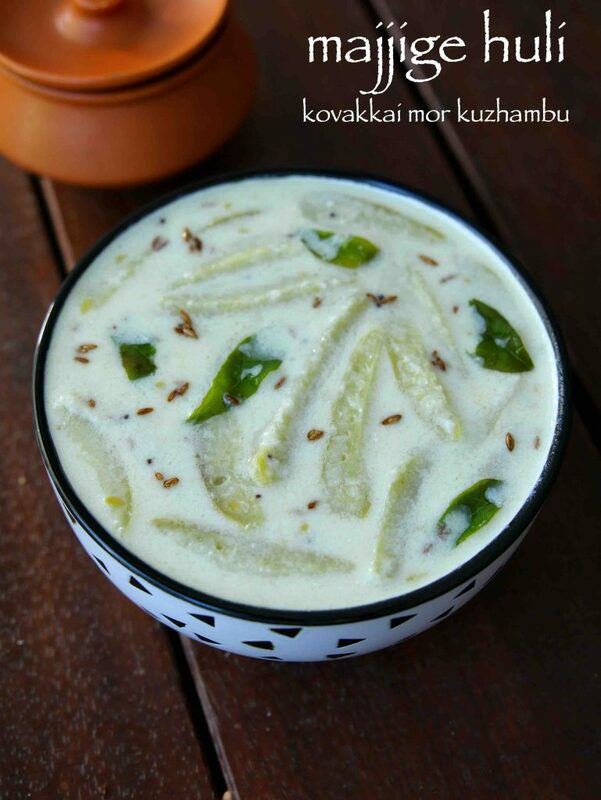 majjige huli recipe | kovakkai mor kuzhambu | tindora yoghurt curry with step by step photo and video recipe. south indian cuisine primary deals with breakfast recipes and with curries like sambar and rasam for the main course. generally, the sambar or rasam recipes typically contain toor dal for the consistency and texture. 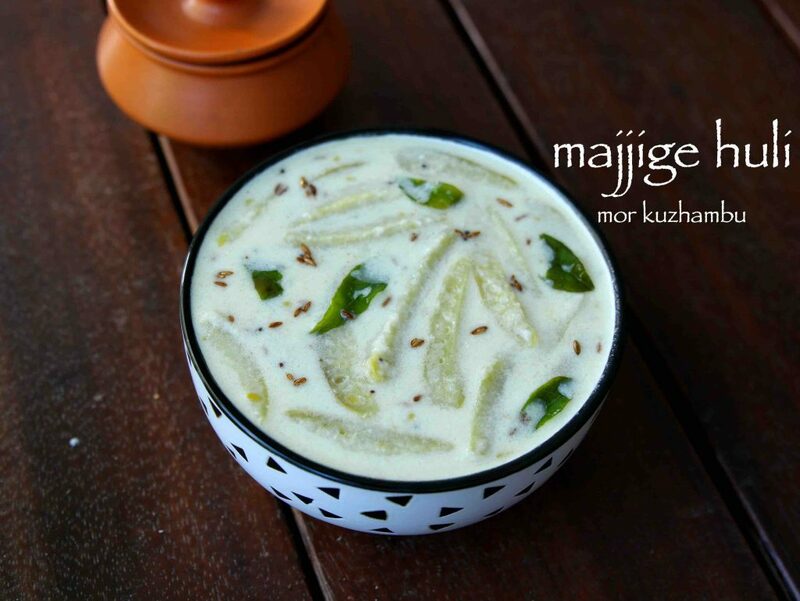 but some recipes use curd or yoghurt for its base and such recipes are known by majjige huli or mor kuzhambu. in south india, rice is our staple food and it is generally served with sambar (huli or kuzhambu) or rasam curries. there are myriad variations to the sambar recipe which typically varies with the addition of dal, fresh ground masala or with yogurt or curd base. 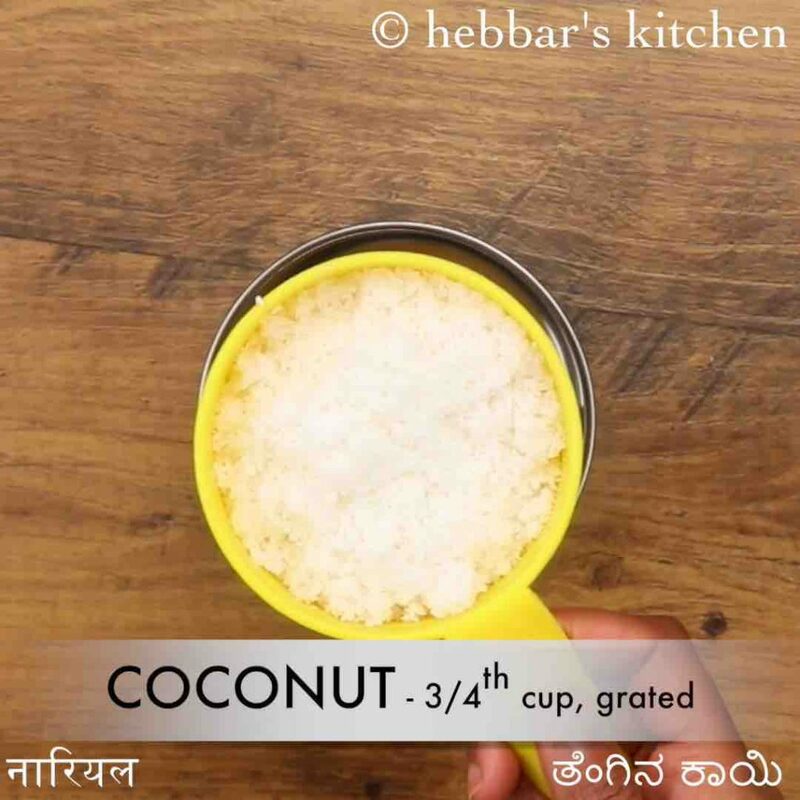 tindora majjige huli is one such category prepared with a combination of grounded coconut masala with yoghurt base. i prepare it quite often whenever i feel monotonous with the regular sambar or rasam. moreover, comparatively, it is less spicy and offers a combination of sour and savoury taste. hence it can be an ideal option especially if you crave for something less fancy or have indigestion problems. 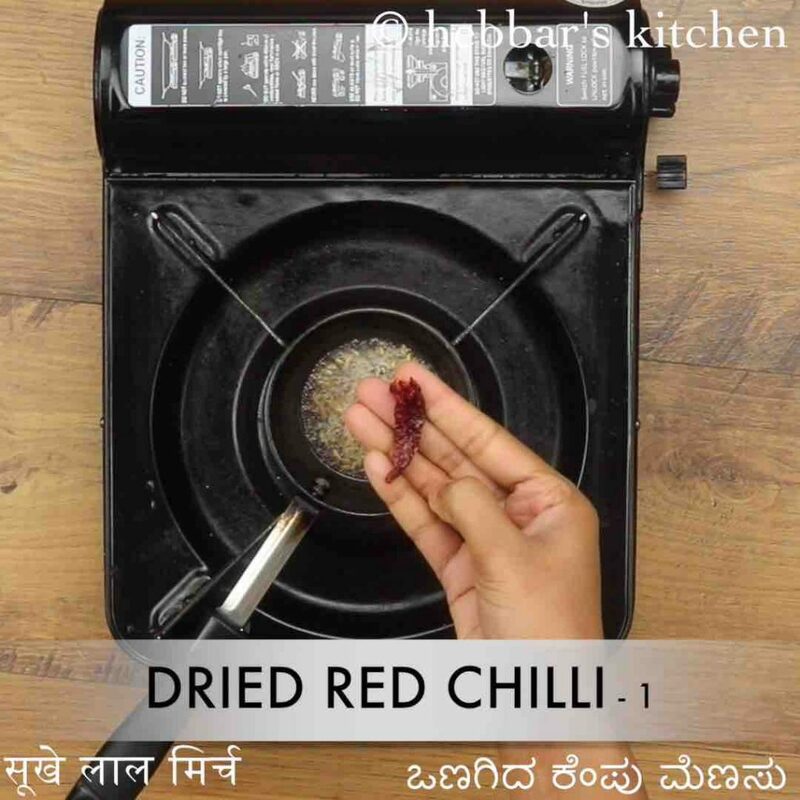 some easy tips and recommendation while preparing udupi style majjige huli recipe or kovakkai mor kuzhambu. firstly, i would heavily recommend using sour curd for this curry to get the authentic taste. 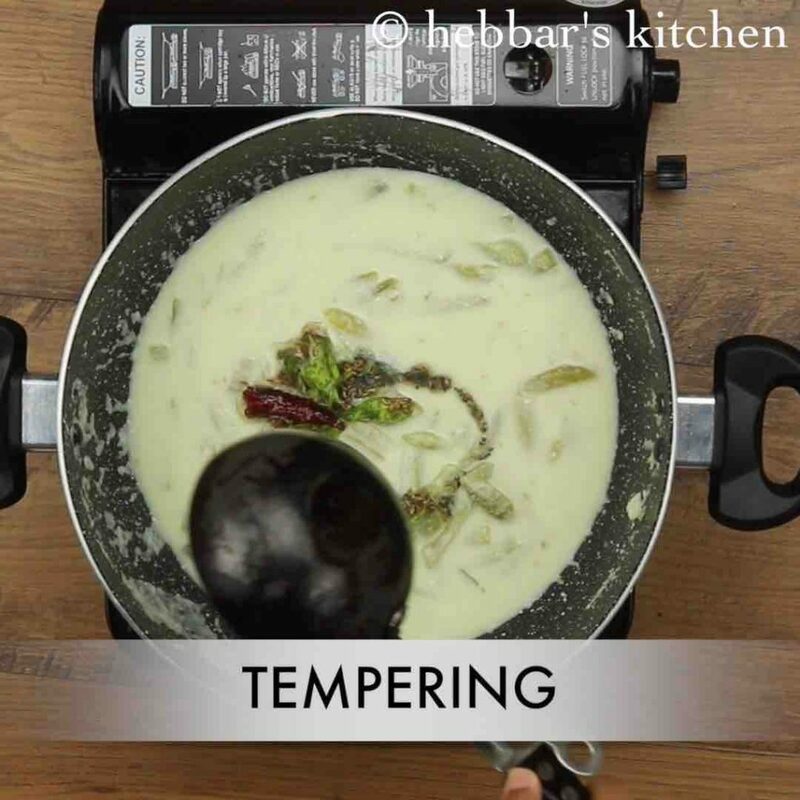 moreover, ensure to whisk the curd properly before cooking and also make sure to turn off the flame. secondly, i have used tindora or tendli in this recipe but, it can be easily replaced with other veggies. preferably cucumber, yam, brinjal, winter melon, pumpkin and even bottle gourd. lastly, make sure to cook the tindora or any other veggies properly before the coconut masala is added. 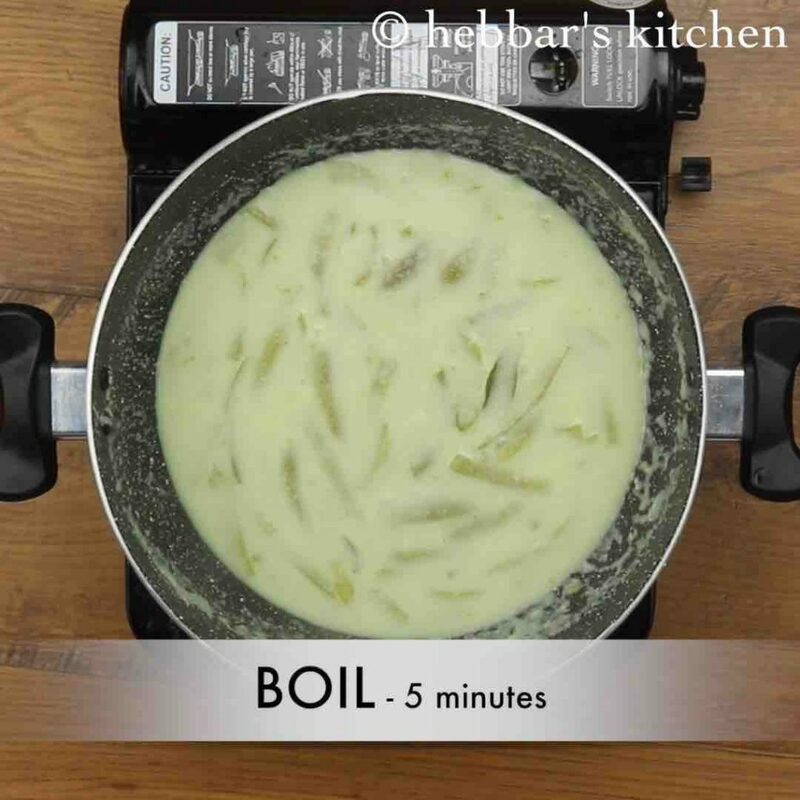 note that once the yoghurt is added, do not boil or cook. 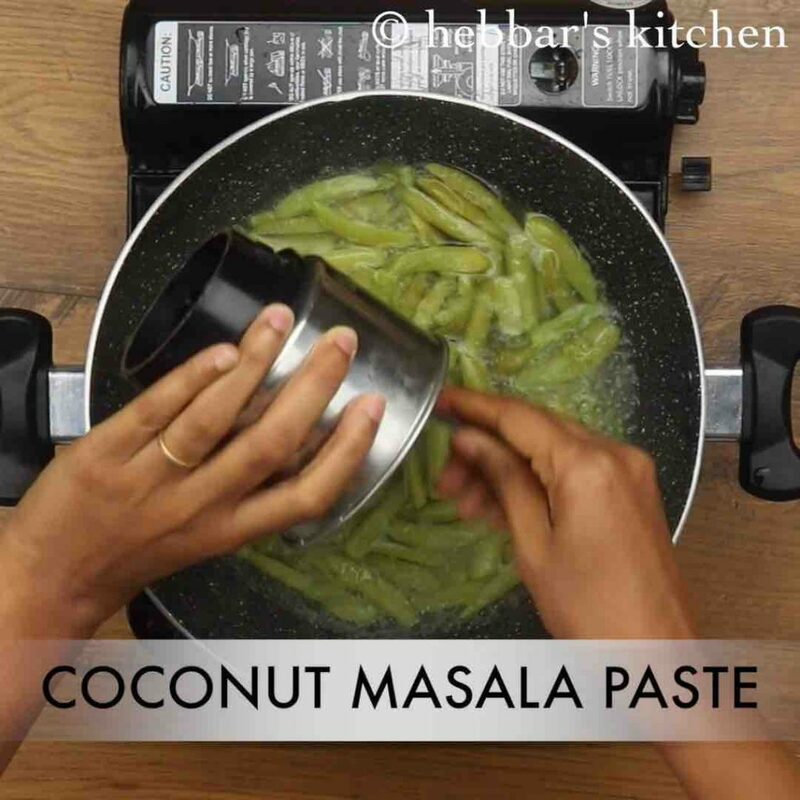 firstly, prepare masala paste by taking ¾ cup coconut, 3 green chilli, few curry leaves and 1 tbsp soaked rice in a small blender. 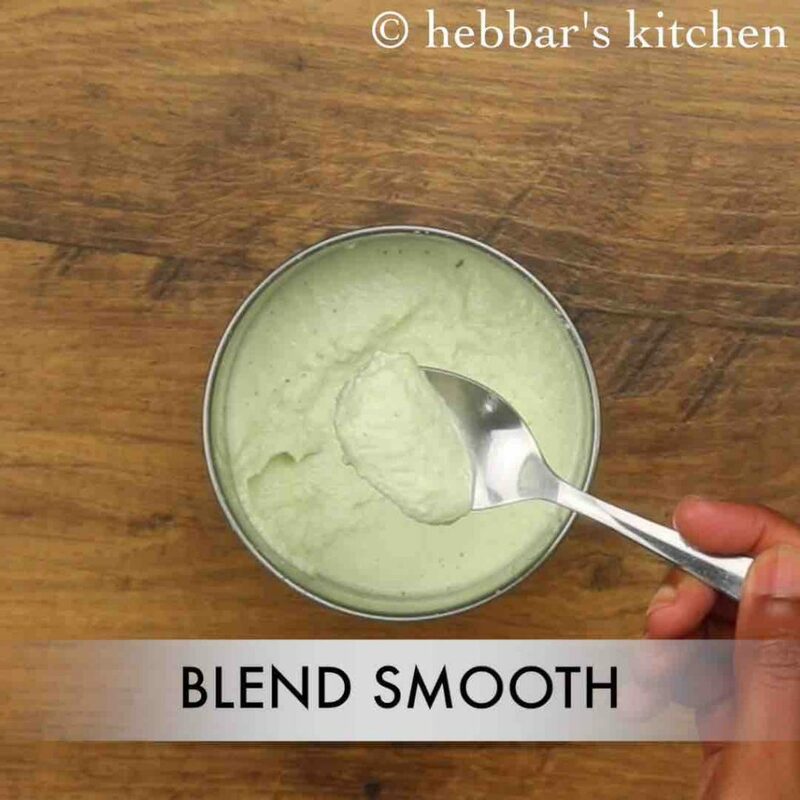 add ½ cup water and blend to smooth paste. keep aside. 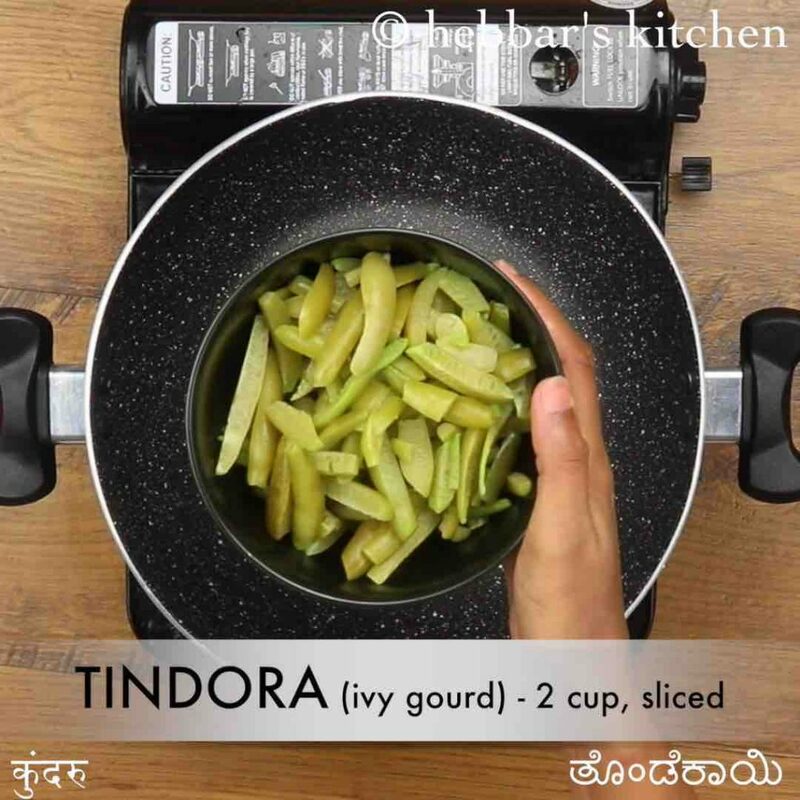 now in a large kadai take 2 cups sliced tindora. 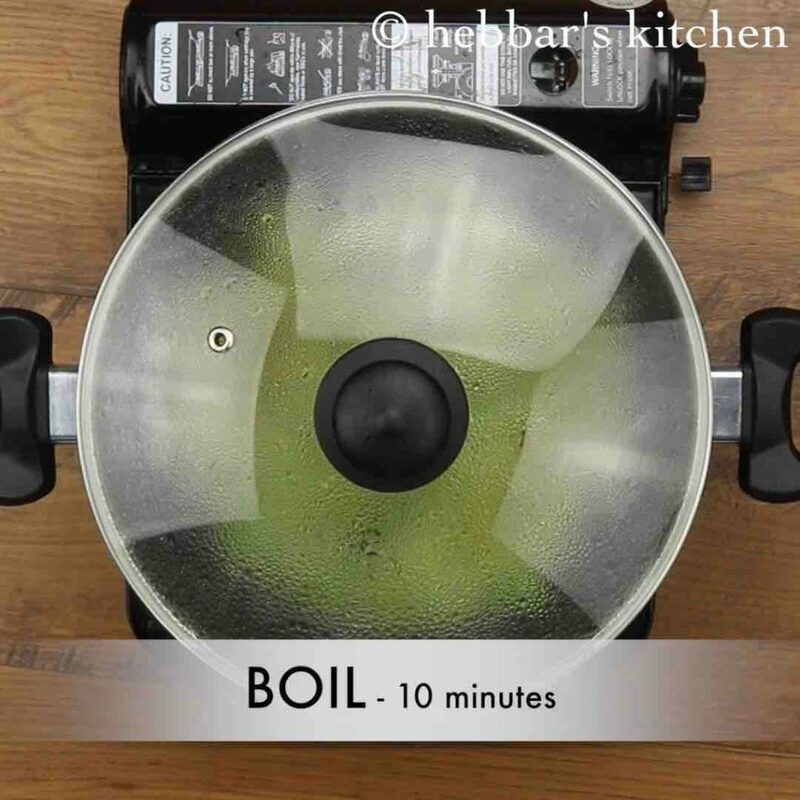 further add 1 cup water, few curry leaves, ½ tsp salt and mix well. cover and boil for 10 minutes or till tindora cook well. now add in prepared coconut masala paste along with ¼ tsp salt. 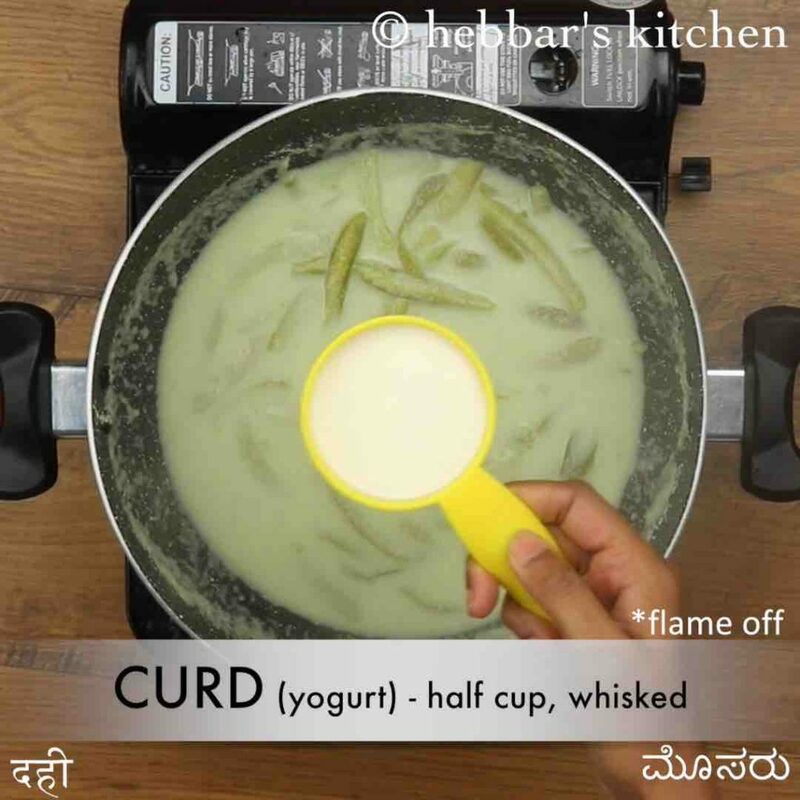 turn off the flame and add ½ cup sour curd. 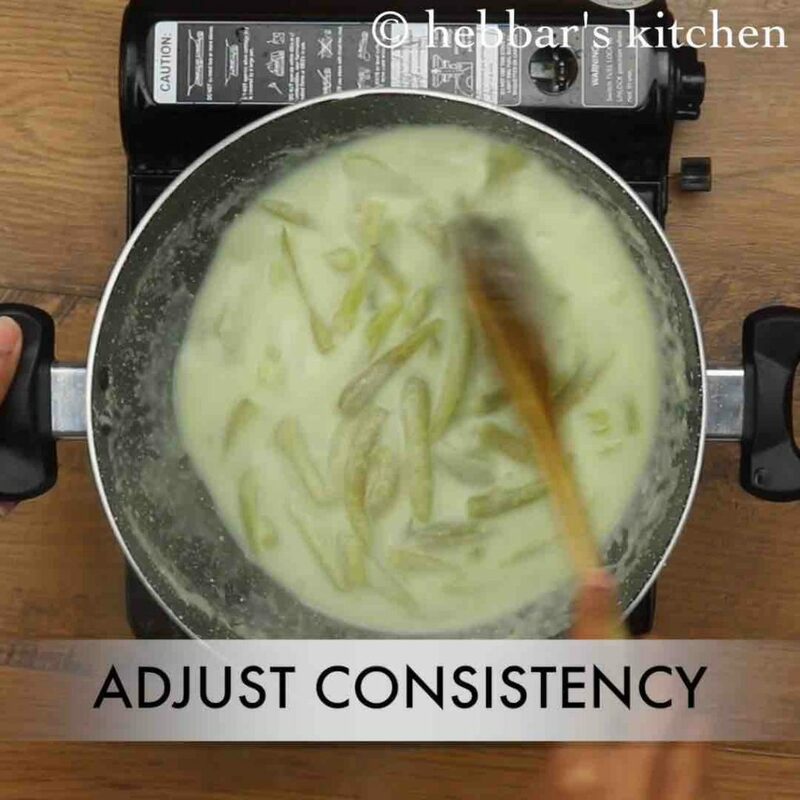 make sure to whisk the curd before adding to prevent from curdling. 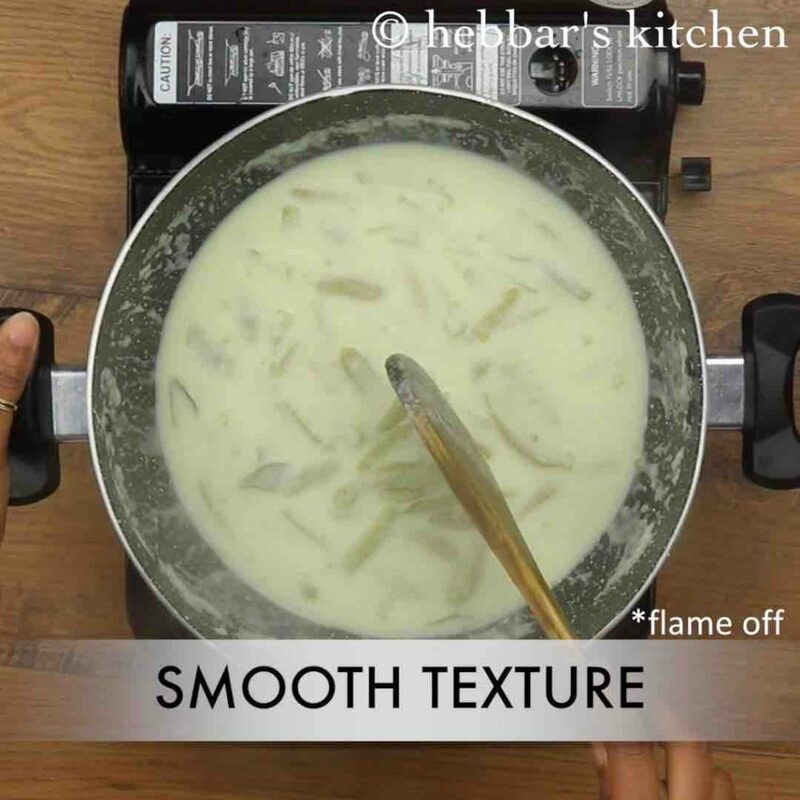 mix well till the kodekane / majjige huli turns silky texture. 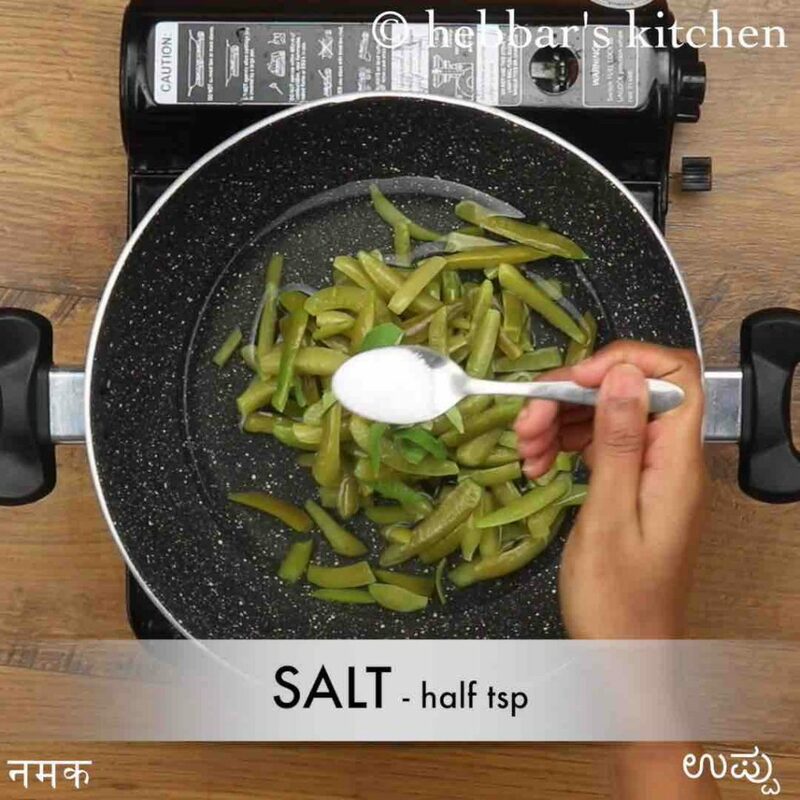 pour the tempering over majjige huli and mix well. finally, serve majjige huli / kovakkai mor kuzhambu with hot steamed rice. now prepare the tempering by heating 2 tsp oil. 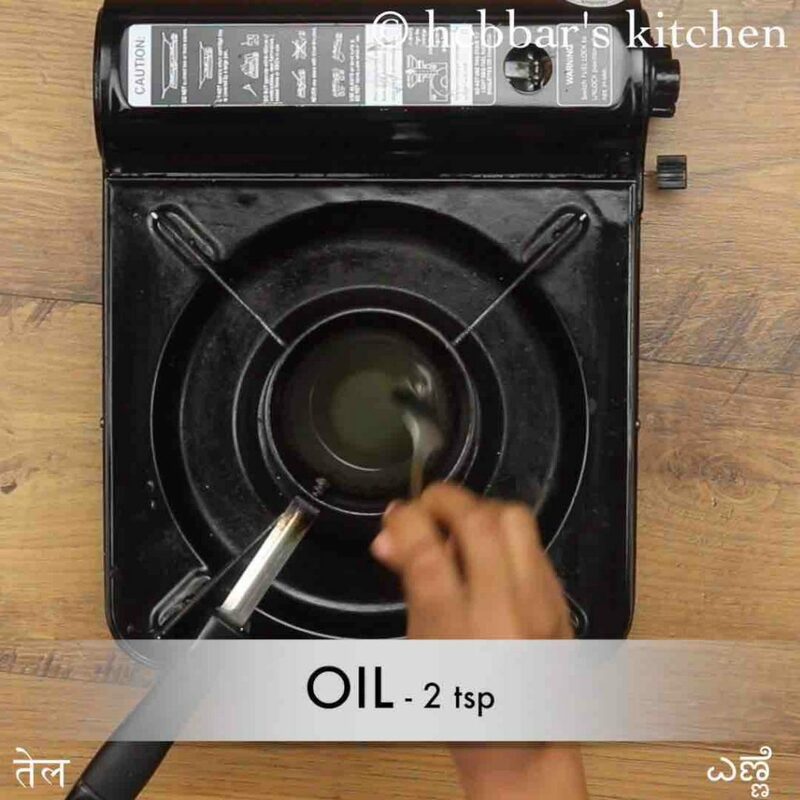 once oil turns hot, splutter ¾ tsp mustard, 1 tsp cumin, 1 dried red chilli and few curry leaves. firstly, adding soaked rice in coconut masala paste helps to give thick texture to majjige huli. also, in place of tindore use ash gourd / cucumber for variations. finally, majjige huli / kovakkai mor kuzhambu tastes great when prepared slightly watery and spicy with sour curd flavour.